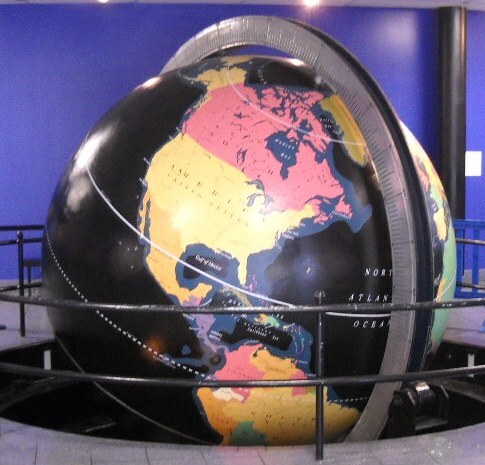 We were contracted by the Miami Science Museum to restore the Pan American Airways Globe. 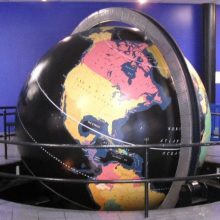 The globe was originally located in the Pan American Airways Dinner Key Terminal in Miami, FL, and is currently located in the Miami Science Museum. It was the client’s intention to replicate the original (circa 1934) globe paint scheme. Our conservators performed an investigation of the original paint color/scheme to determine the likely globe appearance, specifically the palette of colors and the types and sizes of fonts originally used. Conservators also conducted research and found black and white historic photographs of the globe during the 1930s along with a contemporary map (1935 Denoyer-Geppert map) from the Library of Congress archives. 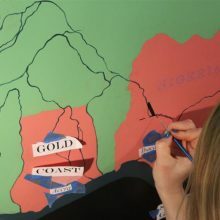 The photographs and map along with the findings from the paint investigation were used to interpret the color scheme, the countries to which they should be assigned, the font types and sizes, and map content. 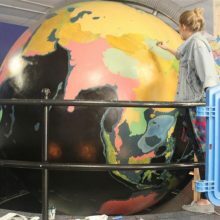 Prior to painting, the surface of the globe was cleaned and the existing wax coating was removed, areas with corrosion and pitting were treated and patched. 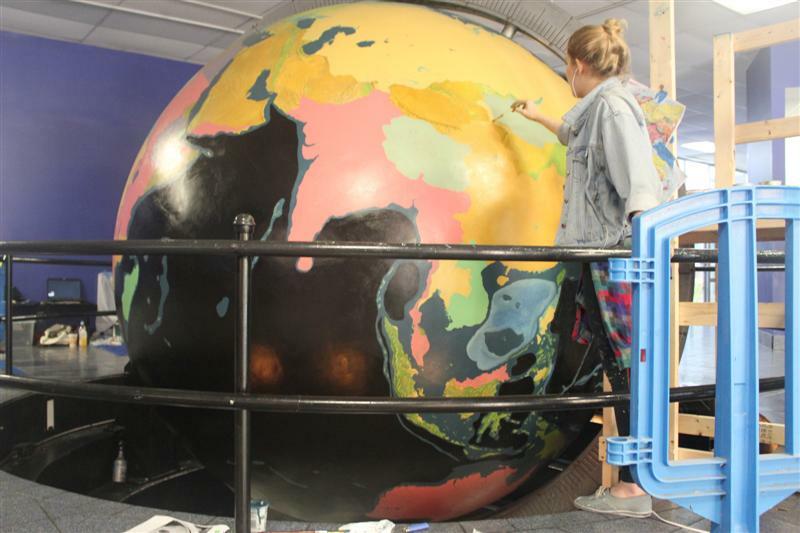 The globe was painted using acrylic latex paints in a semi-gloss sheen. 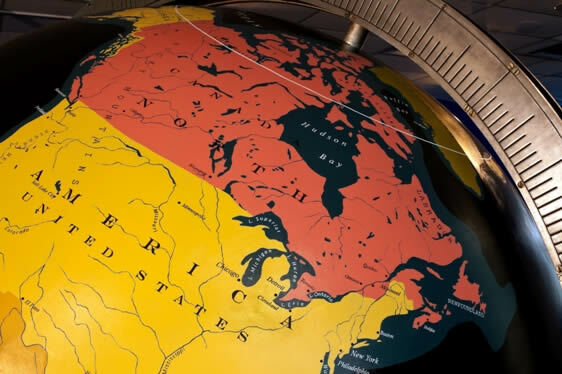 The countries, oceans, and continental shelf were first painted. 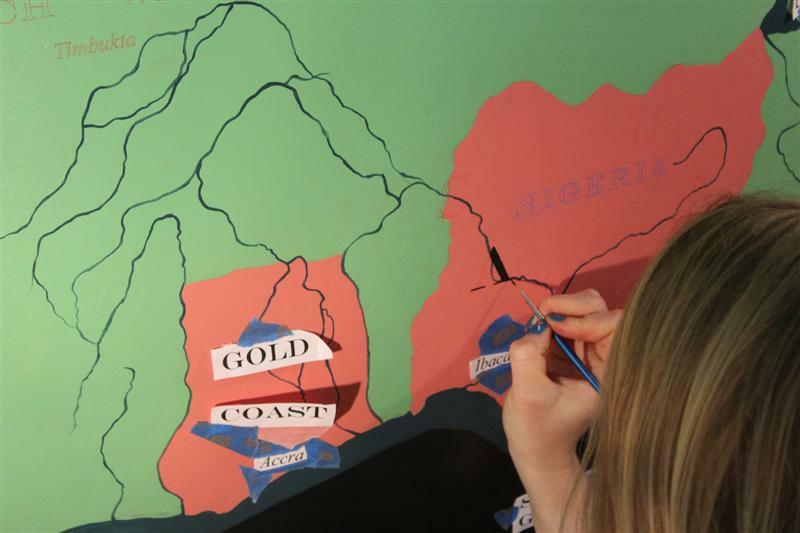 Details such as lakes, rivers, and islands were painted next. 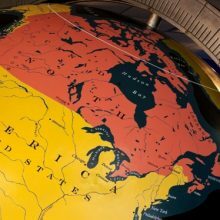 The text for the globe was extrapolated from the contemporary map and consisted of country names, capitals, and major geological features as they stood in the early 1930s. The text was transferred to the globe using a non-wax transfer paper, traced, and painted.